Below is the Conservatory Size Chart for children, youth and adult dancers. If you require help with determining a size or have any questions please Contact Us. Measure accurately, please do NOT add extra inches to dancers measurements. 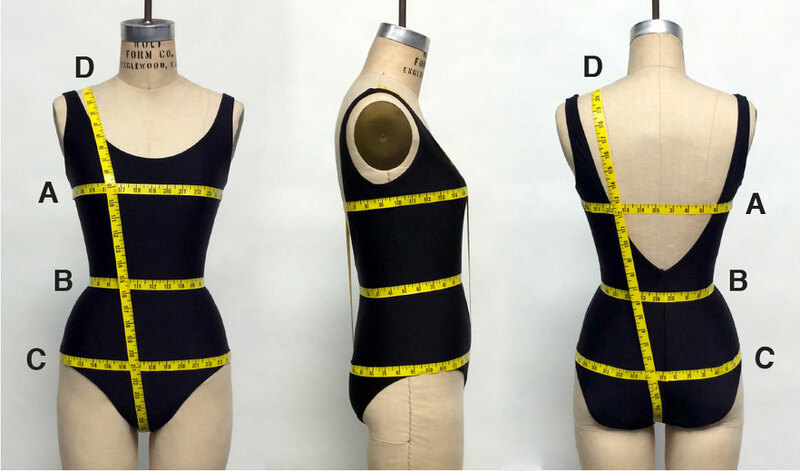 The most important measurements to consider are bust, waist and low hip - girth measurements are primarily for determining the approx size range. Dancers measurements will not always line up exactly with our chart, please note all of our Tutus and Bodices have an extra 1" (2.5cm) of ease built in to accomodate this. The best fit is acheived with the placement of loose hooks and bars, which are included with instructions for sewing. Contact us if you need help in selecting a size. 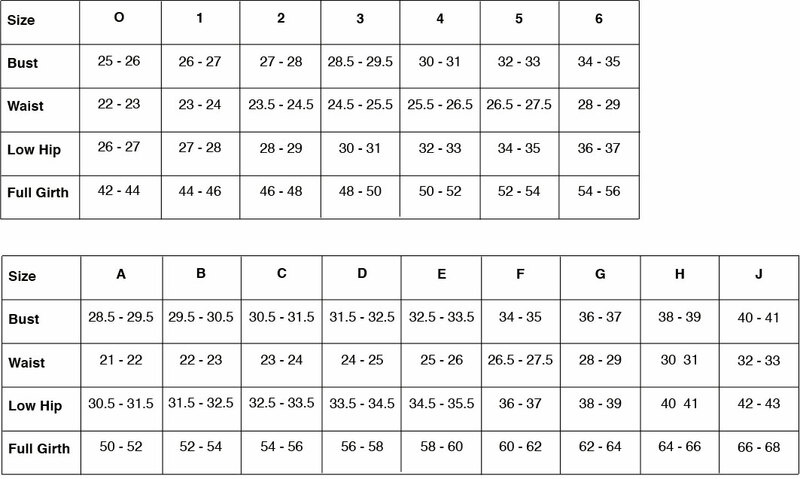 If you are unsure of sizes for a group of dancers we have a Group Measurement Chart to fill in with dancers measurements. Once filled in Contact Us and we would be happy to help determine correct sizes. Please note these are intended only as a GUIDLINE. It's always best to check what the preference is of your particular school or company. Contact Us if you need any help making these choices. An 8 layer tutu is best suited to shorter lengths (12 or 13") and smaller sizes (Child/Youth sizes O thru 3 and Youth/Adult sizes A thru D). A 10 layer tutu is best suited to longer lengths (13, 14 or 15") and larger sizes (Child/Youth sizes 4 thru 6 and Youth/Adult sizes E thru J). A dancer with a height of up to 4'11"' would best suit an 12" tutu..
A dancer with a height between 5' to 5'3" would best suit a 12" or 13" tutu. A dancer with a height of 5'4" to 5'6" and up would best suit a 13" or 14" tutu. A dancer with a height of 5'7" and up would best suit a 14" or 15" tutu. A 3 layer tutu is best suited for smaller sizes, shorter lengths and can be slightly sheer. A 4 layer tutu is best suited to longer lengths and will be more opaque. Romantic tutus can be whatever length desired within our choices - even numbers from 14" thru to 34". A - Measure the length from the dancers waist to where you want the tulle to end. Note: If this is an odd number (ie. 25") round up to the next even number (ie. 26"). B - Subtract 2" to compensate for the basque (ie. 26" minus 2" would then be 24"). The Tutu (tulle) length you would choose would be 24".